From pristine beaches, national parks and Museums to world class theme parks, the state of Florida is a playground for all visitors. Come to rest, recreate and enjoy life. 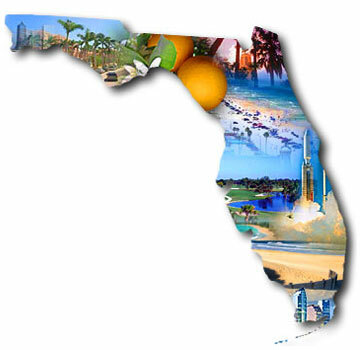 We like to divide Florida into 7 different regions; The Panhandle, The Northeast, The Gulf Coast, Orlando and the Space Coast, The Gold and Treasure Coasts, The Everglades and The Keys, and Miami. These regions contain everything from Walt Disney World and Epcot Center to Cape Canaveral and NASA's Space Center. Florida Sun Car Rental offers rental car services for all of the area above. Contact us today for your Florida rental car quote. 2007-2019 Florida Sun Car Rentals - Discounted SUV's, Vans, Convertibles and Luxury Autos. Florida rental cars for Orlando, Miami, St. Petersburg, Tampa and more. Book now, pay later.